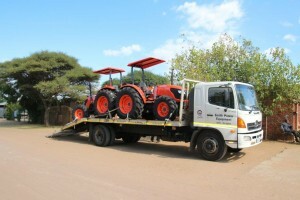 The Kubotas were delivered in two phases. 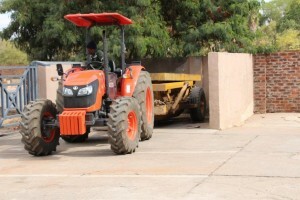 The first comprised three units in January 2015 with the other two delivered in June 2015 and they are being used by both the Parks and Waste departments. “Parks’ units are being used mainly for road-side maintenance and grounds-keeping where pulling slashers is probably the main activity, while the Waste department units are used for refuge removal,” says Sithole. 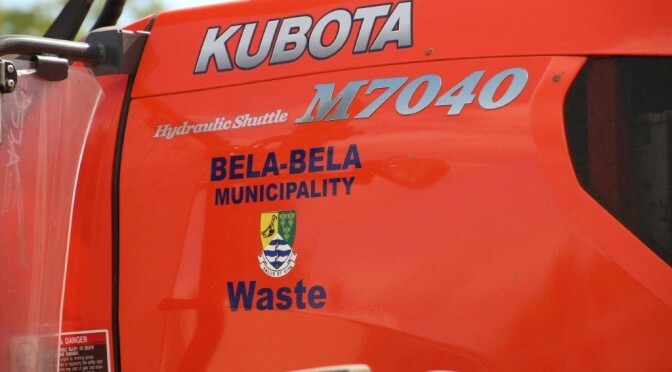 In terms of waste removal, Bela Bela makes use of low slung trailer skips that are stationed at various sites across town and the task of the tractors is to haul the full skips to the dump site. “These skips are not only used for hauling normal waste but also building rubble,” says Sithole. Due to the design of these skip trailers, a lot of weight is put on the tow hitch of the tractor. 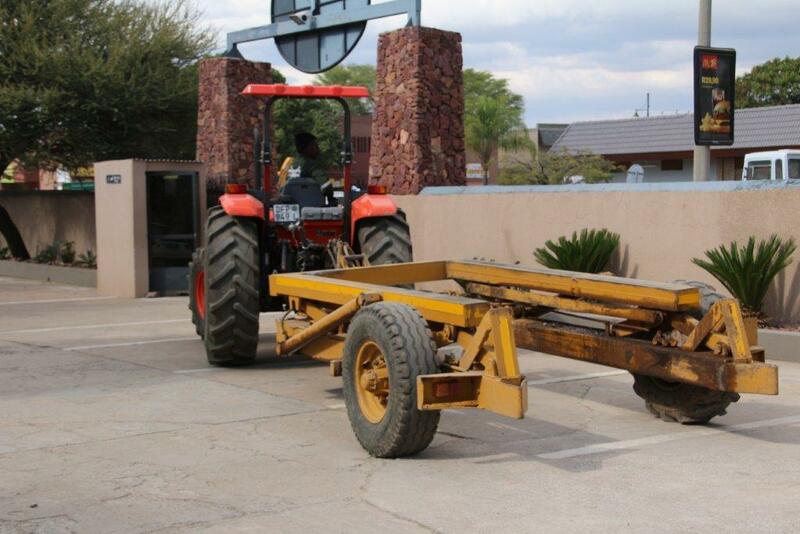 “The previous tractors needed monthly visits to the engineering department to re-weld broken tow hitches. 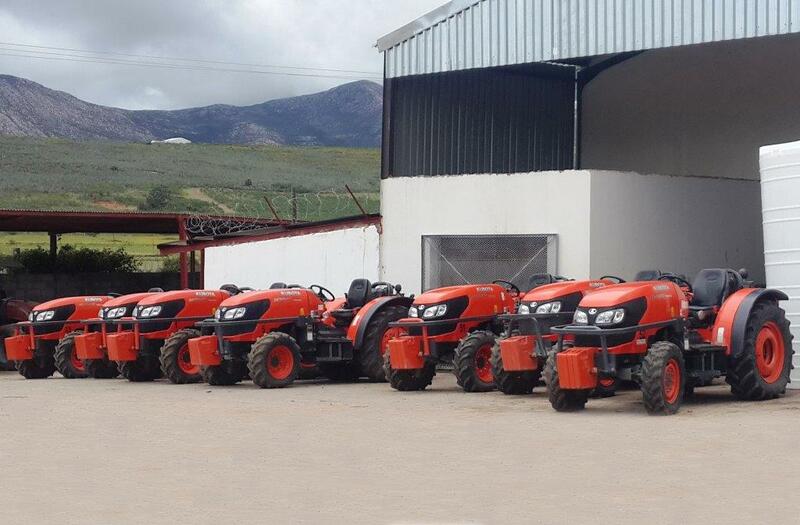 The operators of the new Kubota tractors all have only one response: ‘These Kubota’s are strong, very strong’,” Sithole says. He adds that the Kubota tractors are truly well designed. “The hydro shuttle is absolutely magic, the rest of the controls are positioned within easy reach, and because their operation puts almost no strain on you, you can work all day long and not be tired. 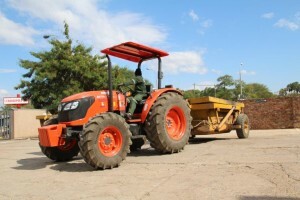 And for a fleet manager that’s very important because a tired operator becomes a careless operator,” Sithole concluded. Previous PostThe Big Easy, Big Dave and Toro – a Big SuccessNext PostFinance Creativity and Service Often the Tipping Point in Agri Market… …customers can pay when they have the cash!